The Diagnostic and Statistical Manual of Mental Disorders, commonly abbreviated as the DSM, is a book published by the American Psychiatric Association providing standardized criteria to the diagnosis of mental health conditions. The DSM is used widely by mental health practitioners in the United States to aid in diagnosing clients. For many decades, there was immense concern that psychiatric diagnoses were based upon the whims of psychiatric professionals and were not scientifically valid. Different practitioners might give the same client completely different diagnoses, which in turn would result in different standards and courses of treatment. The DSM is an attempt to correct for this potential problem. Originally published in 1952 based upon data from psychiatric hospitals and practicing mental health clinicians, the DSM has undergone several revisions. The current incarnation of the DSM is the DSM-5, which was finalized December 1, 2012 and released in May 2013. It replaced the DSM-IV, which was published in 1994 and revised in 2000. You can find the latest in DSM news at www.dsm5.org. How Is the DSM Organized? The DSM-5 is organized into three sections, with 20 chapters that address specific disorders. The chapters are arranged based on common features among disorders. 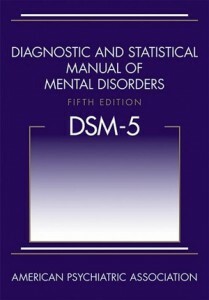 The DSM-5 dispensed with the multi-axial system used in the DSM-IV. Section I provides an introduction and information regarding organizational features of the text, revisions, field trials, and public, professional, and expert review. Section II includes diagnostic criteria and codes. Disorders are coded based on the International Classification of Diseases, 9th edition, Clinical Modification (ICD-9-CM) and the DSM-5 includes coding to reflect the changes that will take effect on October 1st, 2014 with the adoption of the ICD-10-CM in the United States. Section III addresses assessment measures, cultural formulations, a glossary, and conditions that warrant further study, such as Internet gaming disorder, suicidal behavior disorder, and neurobehavioral disorder due to prenatal alcohol exposure (ND-PAE). The DSM has been heavily criticized since its inception for incorporating social norms into diagnoses and turning unusual behavior that may not necessarily indicate mental problems into mental problems. For example, “gender identity disorder” was listed in the DSM-IV. Transgender activists argued that this should not be treated as a stigmatizing disorder, and they appear to have been heard: The term “gender identity disorder” was changed to “gender dysphoria,” defined as emotional distress over one’s gender, in the DSM-5. The DSM-5 was criticized for the secrecy surrounding its creation and for the American Psychiatric Association’s decision to hire a public relations firm to promote it. Many people feel that the DSM names too many disorders and grants too much power to psychiatrists to stigmatize human behavior. Others argue that the DSM is influenced by pharmaceutical companies to label conditions that can in turn necessitate a need for psychotropic medication. GoodTherapy.org supported Division 32’s Plea to the DSM-5 Task Force, encouraging further review and consideration in the creation of DSM-5. Despite evidence to suggest interpersonal trauma results in complex posttraumatic stress and has both short- and long-term adverse health outcomes, the mental health community is still struggling to develop a diagnosis to capture this exposure and condition. Several task forces have been created to address the need for a consensus on how to diagnose and treat people affected by interpersonal trauma. Until then, complex posttraumatic stress will remain a notable omission from the Diagnostic and Statistical Manual of Mental Disorders (DSM). If you can’t find it there look at other places. However your work must have a number you can call. Exorcisms and Psychology: What’s Really Going On? Is Adolescent Weight Gain a Sign of Depression? Should Hoarding Be Classified Under OCD in the DSM-V? Criticism of DSM-V Continues: What’s In the Manual Anyway? The Power of Therapy Misused: How You Can Use Your Power to Help! Should OCD be Removed from Anxiety Disorders in the DSM-V? PTSD Diagnostic Criteria: Where’s the Human Factor?